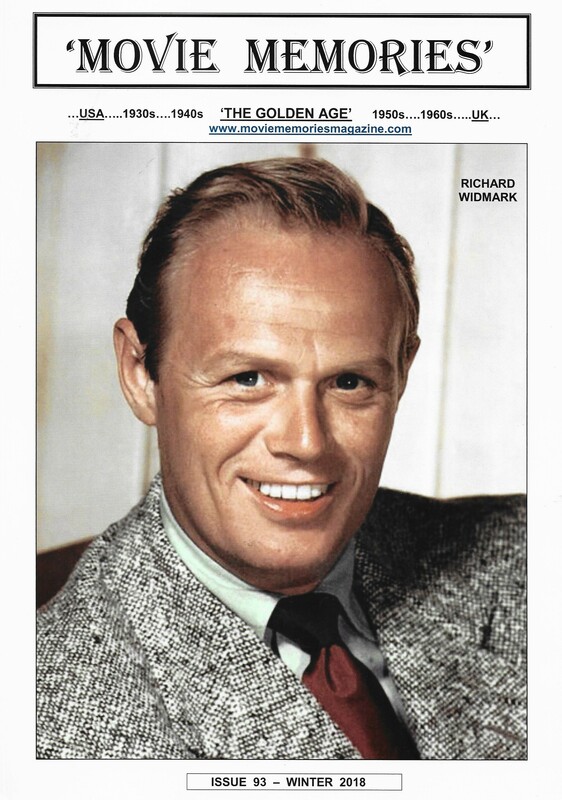 Movie Memories Magazine – Winter 2018 Just Published !! The Post arrived yesterday morning with the large white Envelope containing the very latest edition – Winter 2018 – of the wonderful Movie Memories Magazine produced by Chris Roberts. This is indeed a great start to the day and I know there will be lots to read – articles, pictures and letters from filmgoers the world over. Chris always attend the Renown Film occasions and is well known to the stars of that era who seem to appear every year – in fact he interviews quite a few of them. He shares with many of us a love of the films in the era – we all have slightly different views on the films and the stars I would guess but that is only to be expected – and we all have our own favourite films and actors of course. 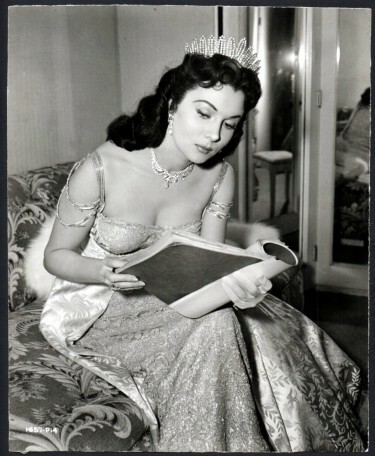 That era produced film stars who – on the whole – knew how to project themselves and to behave as film stars, who were admired and in the public eye probably to a greater extent than now, would do - and they maintained that mystique that is appealing. OR just leave a message on this site – and I will pass it on to Chris. 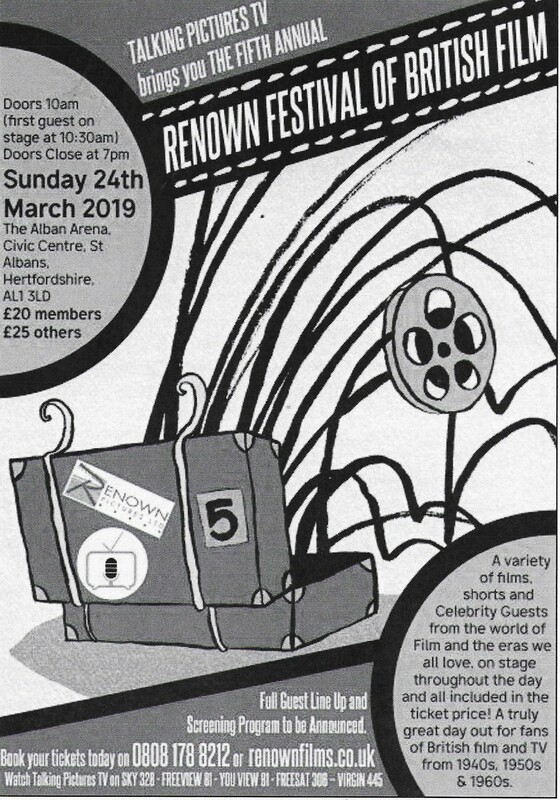 The above Poster appears in this edition of the magazine – promoting the Renown Film Festival – this year in St. Albans at the Alban arena. Last Year’s event was earlier on 11 th February 2018, and during the cold ‘Beast from the East’ snap we had - I was ill over that period and did not attend. However this one is later and is in St.Albans – one of my favourite cities in this country – and one where I have spent a lot of time as a youngster – so it will be a real pleasure to attend this one all being well. These two very lovely film actresses combined in this Advertisement that appeared in the Illustrated Magazine dated March 24 th 1951. I don’t know whether or not they knew one another, but they were both of a similar age and similar looks really. It was only in the last couple of weeks or so that I became acquainted with Natasha Parry after seeing her in Dance Hall on the Talking Pictures film channel – and I have to say I was impressed with her. At the time of this advertisement Joan Rice would have just got news that she had won the coveted role of Maid Marion opposite Richard Todd in The Story of Robin Hood and His Merrie Men – to be made at Denham starting in a month’s time from the date of this magazine. Both careers were on the ‘up’ at this time. Joan Rice did very well indeed in Robin Hood which went on to have Worldwide acclaim in 1952 before going off to Fiji for His Majesty O Keefe with Burt Lancaster. After that she just seemed to fade away and we have speculated much on this. I felt that when she returned from Fiji, something happened in her private life to alter things which affected her career. 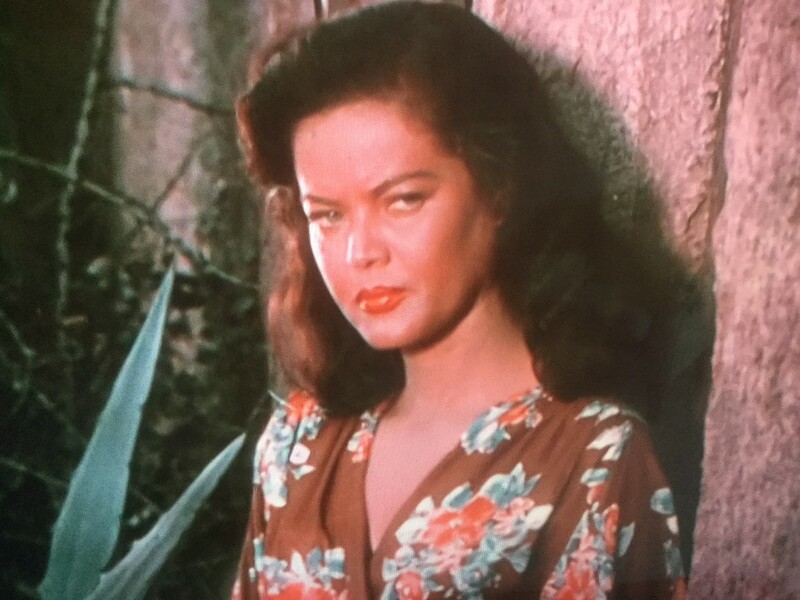 Thinking more about it though, I wonder if the months she had away in Fiji meant that in film terms she was ‘out of sight and out of mind’ of the Film Producers and her moment was gone. We will never know. Natasha Parry was the step-daughter of film Producer Gordon Parry – and married Theatre Director Peter Brook. She died in 2015. However relating to this advertisement, soon after this in 1952, she spent a full year not working at all as she contracted TB. Fortunately she recovered well. Natasha Parry died on 22 July 2015 (Some sources say 23 July 2015) while on holiday in La Baule, Brittany, France, at the age of 84 after a stroke. She was survived by her husband and their children, Irina and Simon. 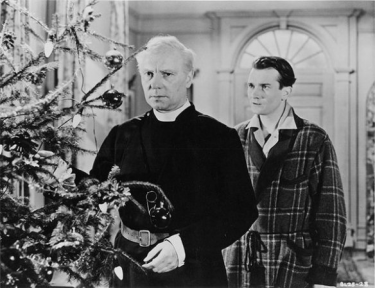 This will be , for me, the highlight film of this Christmas – The Holly and the Ivy – 1952. On Talking Pictures Christmas Eve at just after 9 pm. It is a film I have known for many years and have featured it on this Blog previously but make no apologies for doing so again. I just love this film – and this type of film. Very British – where we have a family gathering at Christmas – nothing much happens but somehow we are drawn in to the lives of the family we meet – and find ourselves absorbed in their lives – as they unfold before us. Fascinating. Starring Ralph Richardson, Celia Johnson, Denholm Elliott, Margaret Leighton, Hugh Williams, Margaret Halstan and Maureen Delaney, the film takes place as a family returns home on Christmas Eve and in the midst of the bright holiday, none of them are very happy and are hiding their troubles. When the Reverend realizes his children never brought their pain to him and why, he feels he has failed as a religious figure—he isn’t there to criticise but to help. 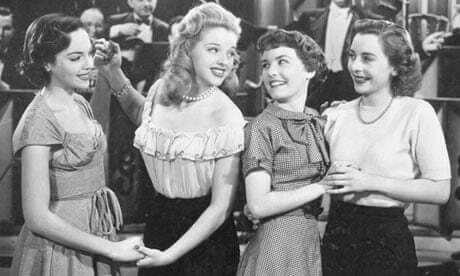 Set on the snowy English countryside, “The Holly and the Ivy” (1952) has a cozy, warm feel. Although the holiday surroundings are inviting and happy, no one seems to like Christmas much. Jenny decorates the house “because it’s what we always do.” David says decorating is a waste of time. Michael and David agree that Christmas is depressing. Margaret wonders why she even returned home. 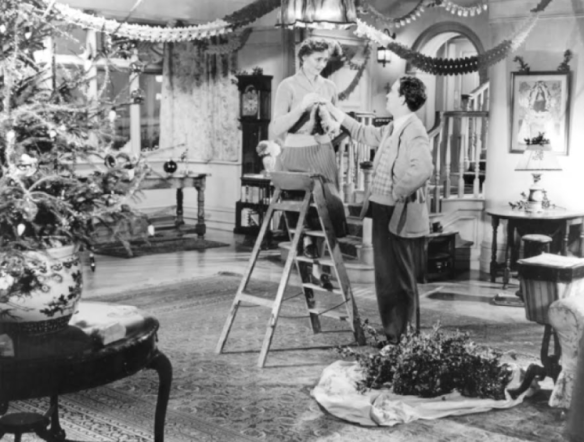 Jenny (Celia Johnson) and David (John Gregson) decorate the vicarage. Celia Johnson’s character of Jenny is the calm and responsible daughter who is concerned for the family. 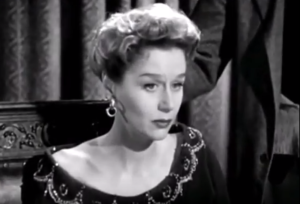 Margaret Leighton’s character of Margaret is hard, bitter and emotional. Margaret Leighton does a good job of exhibiting the pain within her – from her life’s sad life experiences that we eventually hear about. Denholm Elliott’s Michael doesn’t seem to take life too seriously. While the film is largely a drama, the aunts played by Margaret Halstan and Maureen Delaney ( reprising their West End Theatre roles.) supply the comic relief. 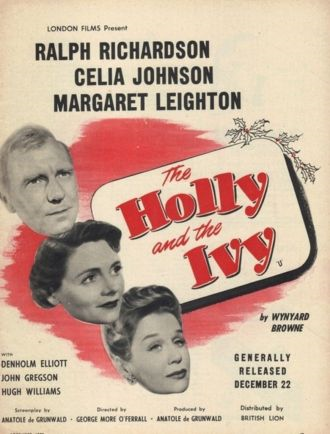 “The Holly and the Ivy” originated as a play by Wynyard Browne, which premiered on London’s West End at the Duchess Theater in 1950. 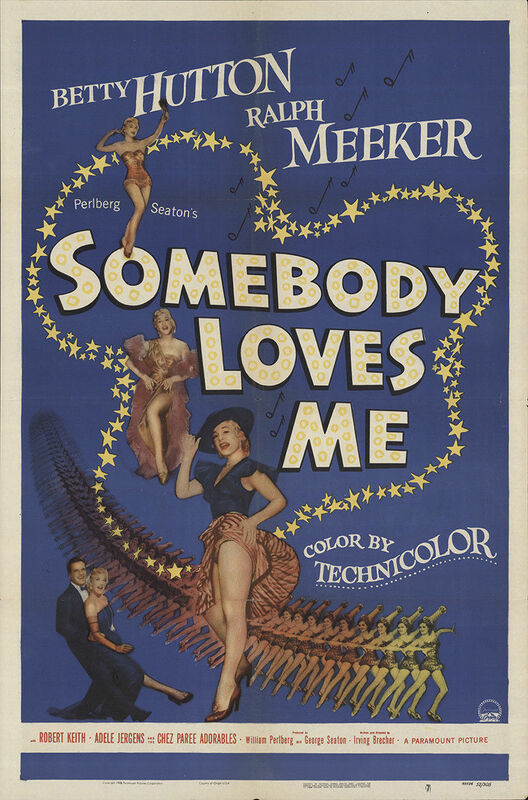 It is easy to see that this film was adapted from the stage by the extent of dialogue, long scenes and drama – it comes to the screen very well indeed – and I love it. Patricia Medina pictured when she had arrived back in England – probably towards the end of 1953 to filmThe Black Knight with Alan Ladd at Pinewood Studios. 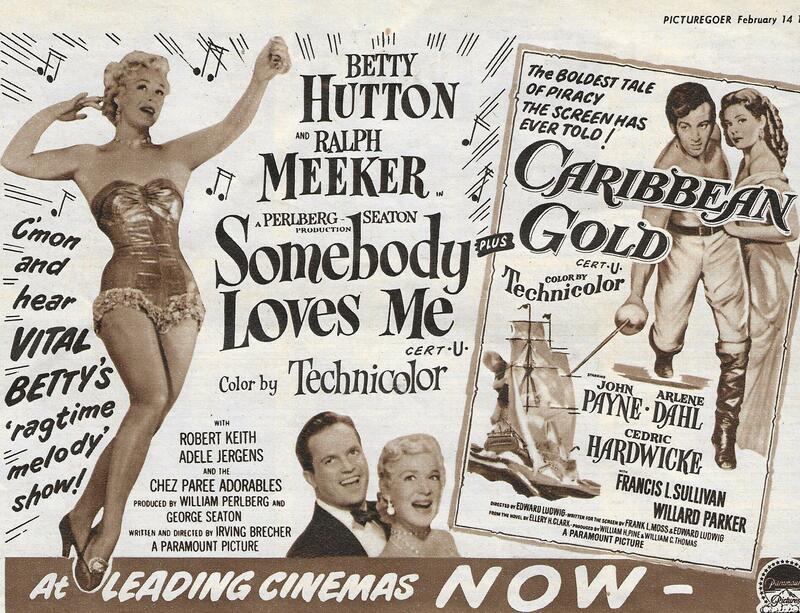 She had appeared opposite Alan Ladd a couple of years before this one – in Botany Bay 1952 – another of my favourite films. 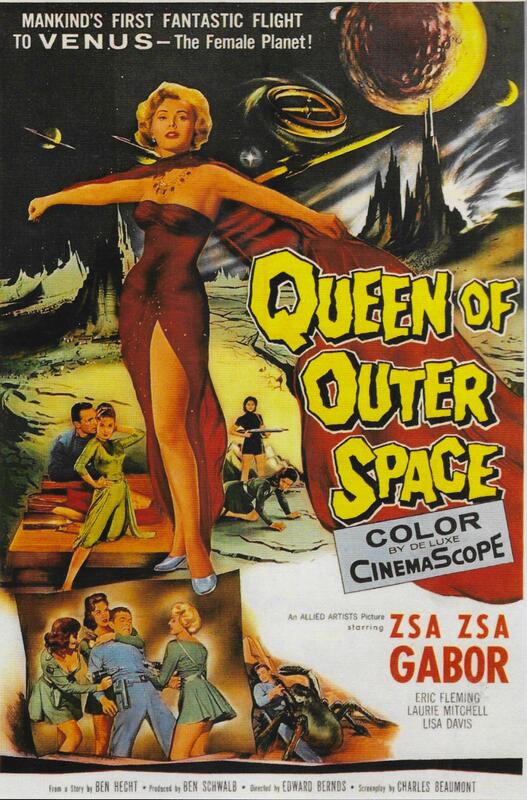 She made four films in 1953 alone, followed in 1954 by Phantom of the Rue Morgue and an adventure film The Black Knight, made in England and in which she co-starred with Alan Ladd . Patricia Medina had married, in 1941, Richard Greene, the strikingly handsome Irish star who was later to star in The Adventures of Robin Hood on British television. After divorcing him in 1951, she lived alone in Hollywood, terminating her MGM contract and moving to Columbia. On visits to London she regularly appeared on BBC television as a panellist on What’s My Line? (1951-63) with personalities including Gilbert Harding and Barbara Kelly. 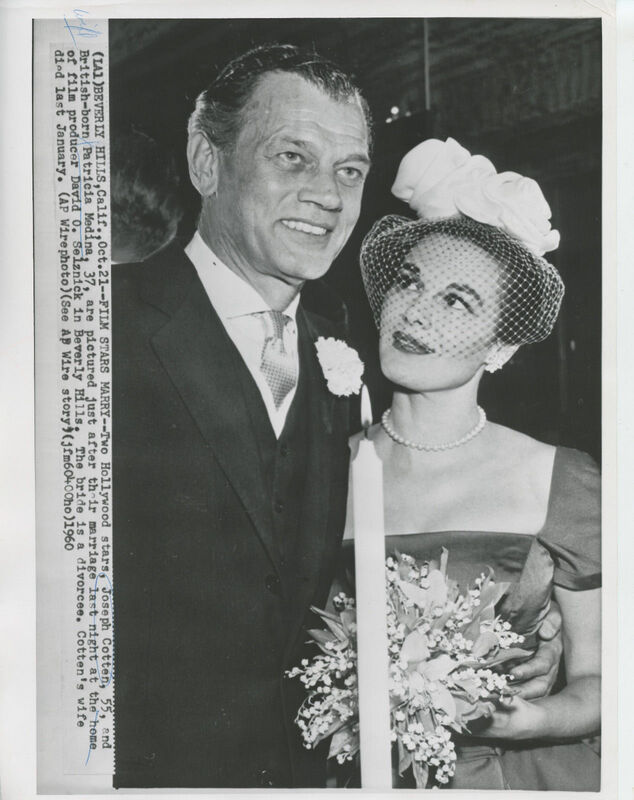 Shortly after her marriage to Joseph Cotten in 1960, the couple embarked on the first of several theatre tours of the United States. Her only significant film thereafter was The Killing of Sister George (1968), in which she played a prostitute. 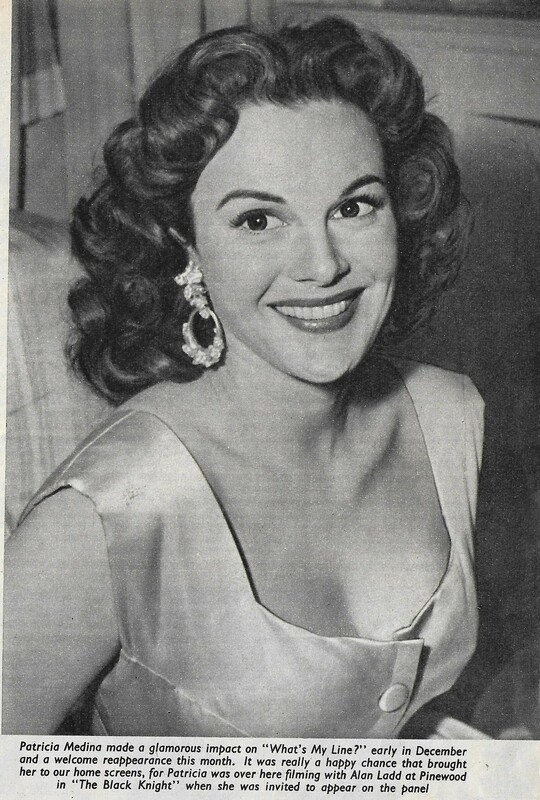 Joseph Cotton referred to Patricia Medina as having the most beautiful face in Hollywood – and seeing that he had worked with some of the classically beautiful women of the era, that is some compliment. He was right I’m sure. After Joseph Cotten’s career was terminated in 1981 by ill health, Patricia Medina devoted herself to caring for him until his death in 1994 . In 1998 she published her autobiography. I must look it up and buy it. They were married at the Home of David O. Selznick and Jennifer Jones in Beverley Hills, Hollywood on 20 October 1960. Serpent of the Nile is another version of Cleopatra. 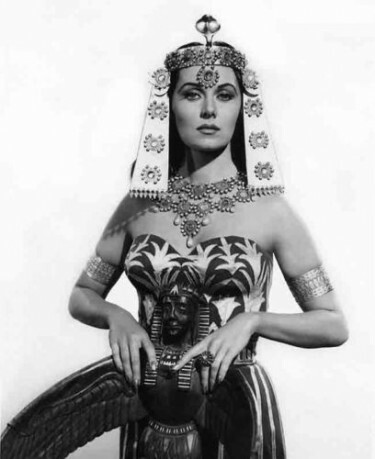 The Queen of Egypt is played by Rhonda Fleming, and with Raymond Burr as Antony. 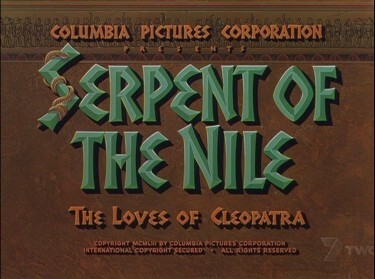 This film enjoyed something of a renaissance in 1963 – ten years after it was made – at the time of the release of Cleopatra – Elizabeth Taylor and Richard Burton famous version. 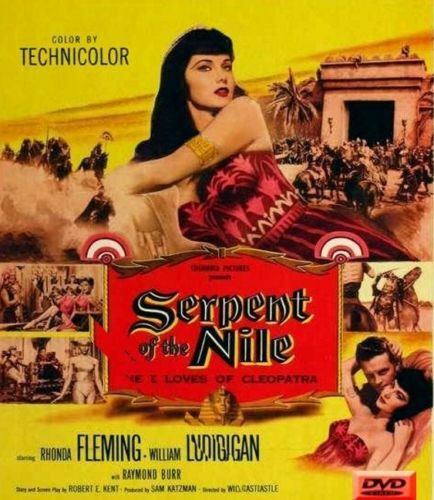 This film was shown quite a lot on Television at that time obviously designed to take advantage of the immense publicity that the film Cleopatra had given us. Director: William Castle Writer: Robert E. Kent (story and screenplay) Stars: Rhonda Fleming, William Lundigan, Raymond Burr, Jean Byron, Michael Ansara, Michael Fox, Julie Newmar This is a low budget film but works quite well - Raymond Burr, who really hadn’t made his name at this stage, but he manages to impress as a drunken, weak-willed Antony, while Rhonda Fleming as Cleopatra is stunning and manages to toss in a goblet-throwing temper tantrum here and there. 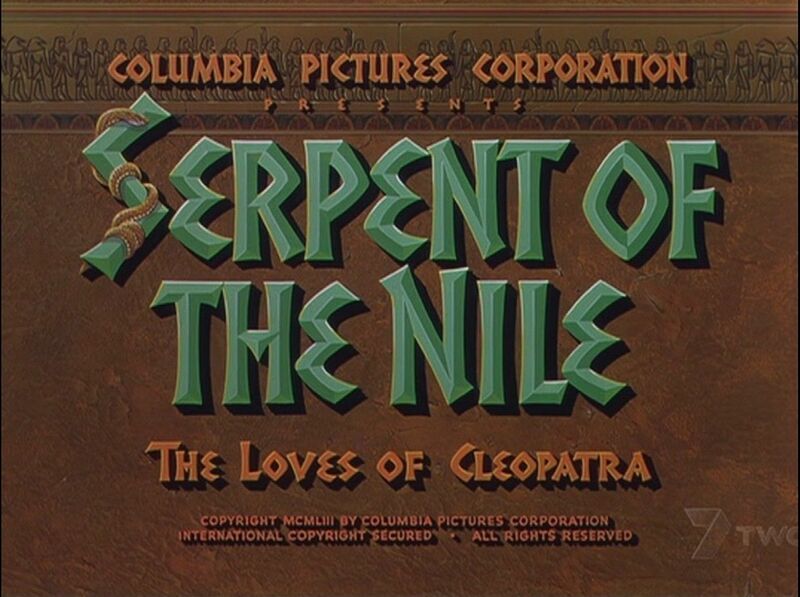 Rhonda Fleming plays Cleopatra as a scheming type with totally unrealistic expectations for her lovers who are entertained them with whip-wielding women dressed as Roman soldiers. William Lundigan plays her love interest, Antony’s associate who apparently had an affair with her years before as one of Caesar’s guards. Nobody looks particularly Egyptian, and Raymond Burr sounds more like Perry Mason than a Roman General. It’s never really made clear why he went to Egypt in the first place, except that he “likes to have Cleopatra around” while Octavian takes over where the real action is – back in Rome. Michael Ansara is around as Cleopatra’s somewhat bumbling heavy There are some good action scenes however - one scene has Egyptians wrestling a real Bear - and another good action scene involving some daringly placed cameras under the hooves of charging horses and chariots. In among all that there are some cheap sets and matte paintings. And there are a lot of costumes for a cheap film. Credit to a good script and lead performances and to William Castle for keeping it moving and colourful–something he always did. 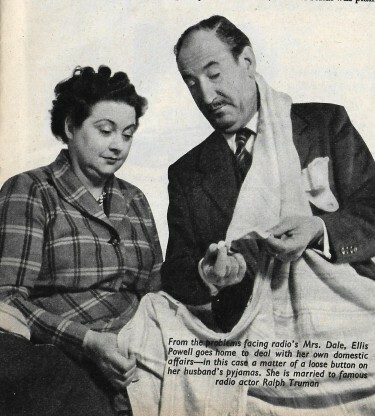 Ellis Powell played Mrs Dale in Mrs Dale’s Diary on BBC Radio in England from 1948 until 1963 when the role was taken over by Jessie Matthew. Ellis Powell was married to well known film actor Ralph Truman who had many roles although one memorable one for me was as George Merry in Walt Disney’s Treasure Island made at Denham Film Studios and released in 1950. 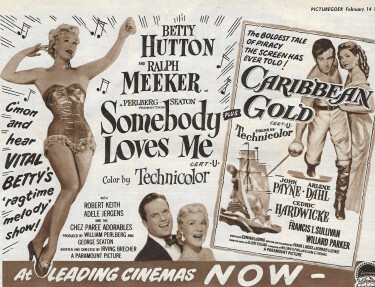 Byron Haskin, the film’s director, said that he had realised when casting the film, that Robert Newton was just going to ‘let rip’ in the role of Long John Silver - which he did very successfully – so as a sort of balance, he cast Ralph Truman and with instructions for him to go well over the top in his portrayal of George Merry - and so successfully did he do that, that Byron Haskin said that in the scenes they played together it almost made Robert Newton actually look as though he was underplaying his part. 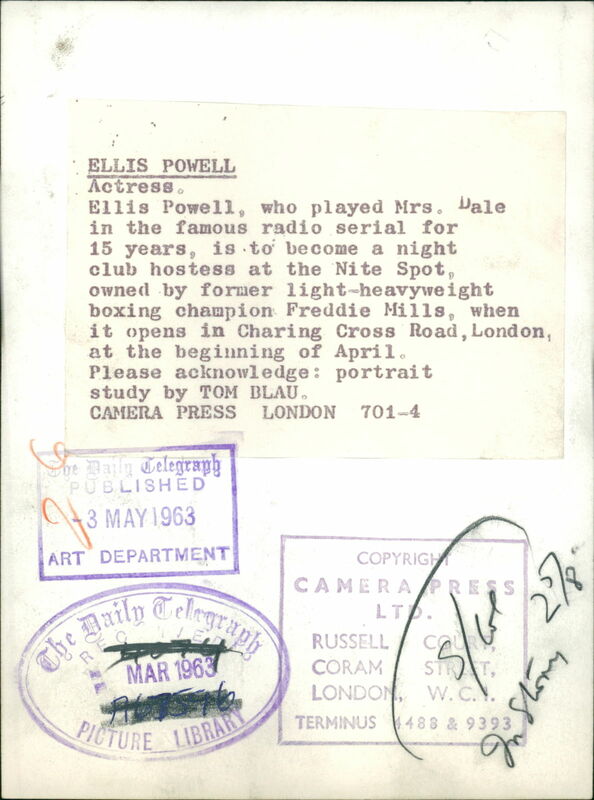 There is very little information about Ellis Powell available anywhere although she had the main role in the very earliest of Soaps on Radio – of course – Mrs Dales Diary. She had been a Radio Drama actress from before the War – in fact right through the War until in 1948 she landed this part. She was part of the BBC Radio drama team that was shipped out of London during the War and based in Evesham where she appeared in many radio plays, although some of them were produced in Manchester. Ralph Truman also was a very well known BBC Radio drama actor with up to 5,000 broadcasts to his name. They may have met through BBC radio I would guess. Something that is not known generally is that shortly after she left the role as Mrs. Dale. she agreed to become a Night Spot Club Hostess at the Nitespot in Charing Cross, London owned by former Light-Heavyweight Boxing Champion Freddie Mills which was due to open at the end of April 1963. Freddie Mills had been part owner of a Restaurant and was having this converted to the so-called Nite-Spot. It seems that Ellis Powell lost her job as Mrs. Dale in February of 1963. She was then offered this job from late April 1963 and she died on 2 May 1963. Just over two years later Freddie Mills was found shot dead in his car – it was reported as suicide although there has been some dispute over this. 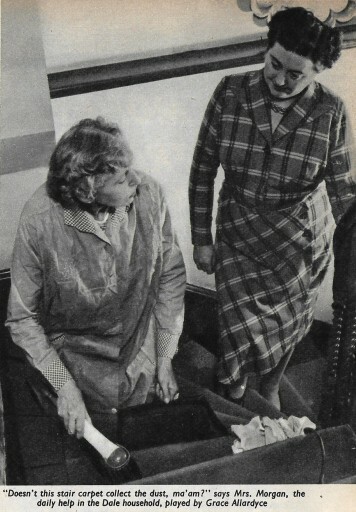 Above: Actress Ellis Powell sitting with her feet up and her pet cat next to her, pictured following her dismissal from the radio series ‘Mrs Dale’s Diary’, at her home in London, February 20th 1963 – this is the day after she walked out of Broadcasting House (BBC) for the last time after being cruelly sacked from her long running part as Mrs Dale. Ellis Powell was reported to have been ‘sacked’ from Mrs Dale’s Diary - and from her long running role as Mrs. Dale – she walked out of Broadcasting House on 19 th February 1963 for the last time – very bitter. She had earned £ 30 per week for her role, although her voice was well known to millions of listeners the country over – but her face was not- so she found fame of a sort but not a fortune – in fact very little. She had been fired partly it is alleged because of her drinking habits but also because – in typical BBC fashion – they wanted to give the programme a face-lift. ‘ The BBC have chucked me out like and old sock’ she said. Her fans believed that she never recovered from the shock and distress of her dismissal. In the last weeks of her life she is reported to have worked as a Demonstrator at the Ideal Home Exhibition and as a Cleaner at a Hotel – although this is at odds with what I have found out that she had lined up this job at Freddie Mills’ NiteSpot. Maybe she was just taking any job that came in her desperation. There are also references to the vague similarity of the True Life story of Ellis Powell to the plot of The Killing of Sister George – but to me that is stretching things a bit far unless there is something that links the two which is not generally known – although on the other hand from the outline of the story of the film below does have a parallel – that is clear. I have come across this mini article below :- Marcus’s play was inspired by a controversial incident in 1963 when the BBC sacked a beloved radio star and was replaced by Jessie Matthews. The radio soap Mrs Dale’s Diary had been running since 5 January 1948 when the BBC decided to replace the lead actors and move the setting to a new town, with new supporting characters. The actress who had played Mrs Dale for 15 years, Ellis Powell, never recovered from this blow and died three months later, at the age of 57, through the shock and distress of her summary dismissal by the BBC. Also I have seen another reference to her ‘at one time married to the actor Ralph Truman’ but as far as I can see she remained married to him until her death. 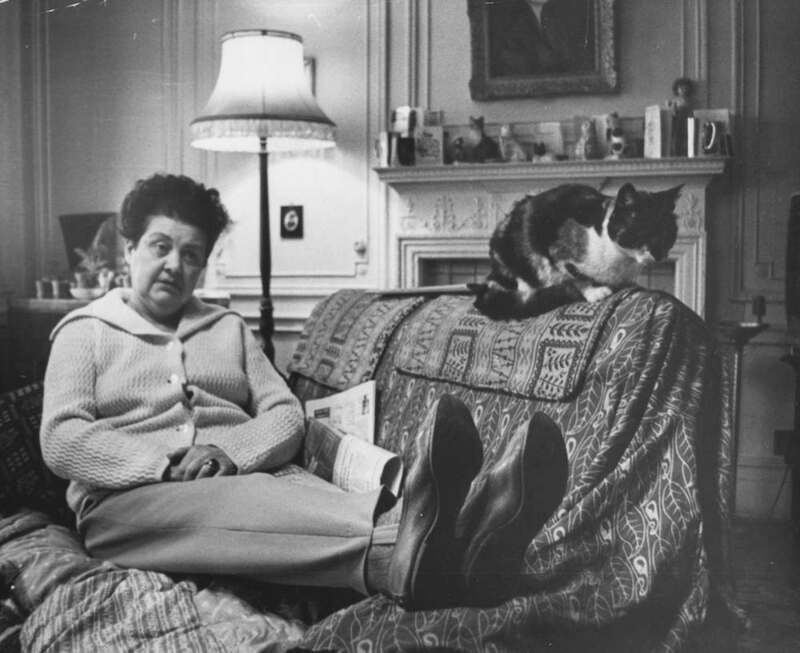 In fact in an interview for a 1954 magazine, she says that she was like Mrs Dale I some ways – they both lover, gardening, They both loved children and they both loved cats although she said that she had three cats Joe, Tortese and Baby Bella , whereas Mrs Dale had one called Captain. Ellis Powell also said that Mrs Dale had a son called Bob and she had a son Clive who was a similar age both in their earl 20s in 1954. She had married Ralph Truman on 8th March 1928 so presumably had her son Clive around 1930 ish – that is a very little reported fact. 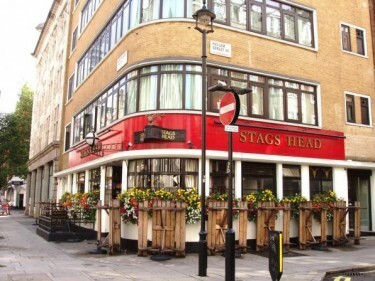 Apparently Ellis Powell did use this local – the Stags Head – close to Broadcasting House. Ralph married Ellis Agnes Estelle Truman (born Powell). Ellis was born in 1905, in London, England. This is quite a good Western with no Star Names – it was on one of the Film Channels a week or two ago in England. I had never seen it before and was quite intrigued with the Colour – which was Cinecolor and although it is not seen as being that good, I thought it was excellent and really fitted such a Western Film as this. The main Character is Larsen – a young man who has to turn to crime, almost forced to do so because of his mother’s outlaw reputation. 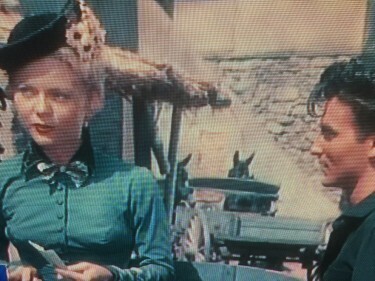 (The real-life Belle Starr )- she also had a daughter, Pearl, believed to have been fathered by outlaw Cole Younger–see BELLE STARR’S DAUGHTER, 1947) Larsen is recruited by underhanded sheriff Healey to help in a robbery. Larsen goes along with the plan because he wants to find out who set him up the year before. 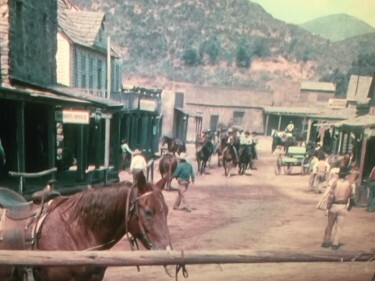 During the robbery, the sheriff’s men turn on him and try to capture him but Larsen guns them down and hides the bounty, hoping to find out the real mind behind the plan. He gets his man, but his reputation as an outlaw gets Larsen in the end too. A rather sad and un satisfactory ending – I am someone who always likes a happy ending in films – and in life too !! 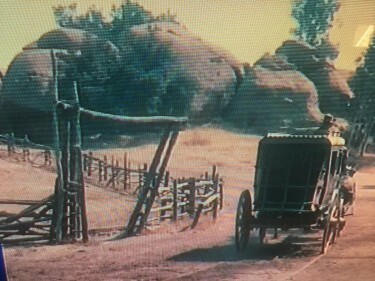 I really love these Colour shots direct from the film – almost a faded sepia tint – but very effective I thought. She was born Eunice Westmoreland in Miami, Florida, one of five children of Joseph Andrew Westmoreland of Arkansas and his wife, Novella Smith of Alabama. Her parents are of African American descent. Studio publicity will later claim she was born in Mexico City in 1920.